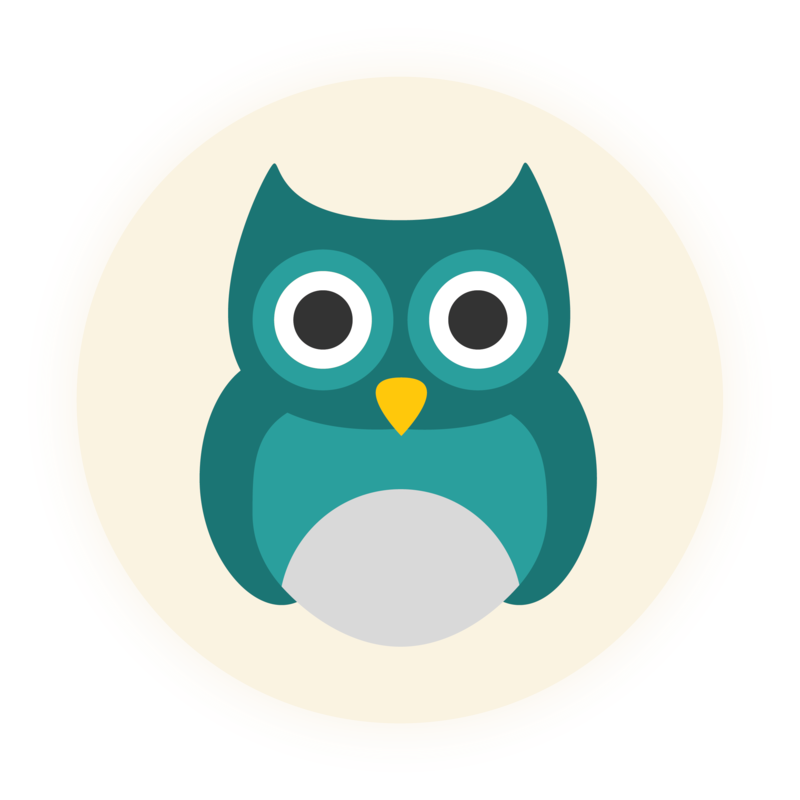 Kudo is an online platform specifically built for supplemental instruction, peer assisted learning, and peer tutoring programs. Planning sheets, study guides, agendas, and more are now online in one easy-to-access, central location. 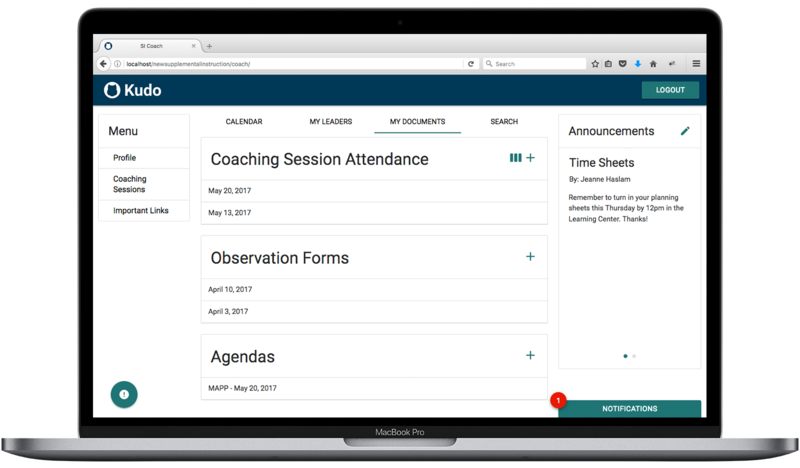 Because of Kudo's design, leaders, coaches, and administrators can share and review documents with ease. Kudo does more than increase collaboration, it also helps with other tasks such as scheduling, room placements, and making announcements. Easily customize Kudo by picking and choosing the features you want to perfectly fit your program. Sign up for Kudo to take your program to the next level! Kudo has a wide range of features that can all be customized and tailored to fit your specific needs. 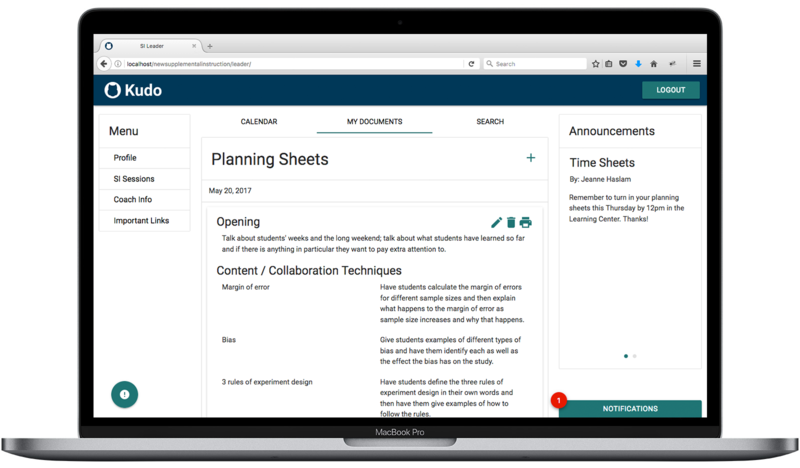 Leaders can create planning sheets that can be shared and reviewed by their peers and coaches. Need an idea? Leaders can easily search for documents to find inspiration for their next session. 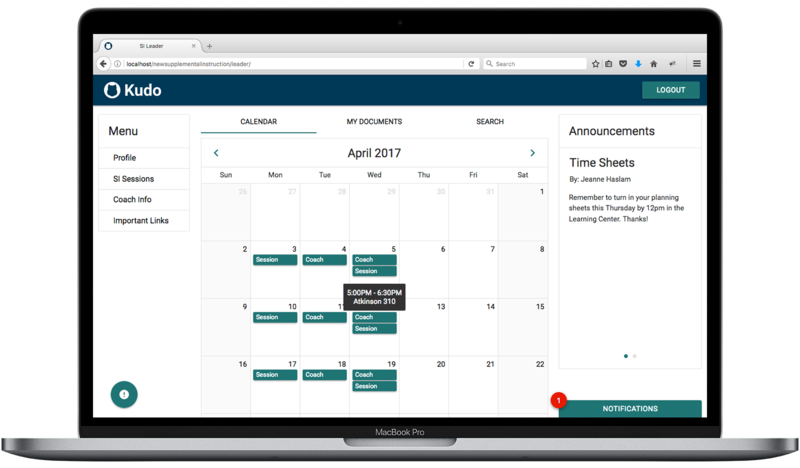 Coaches and administrators can schedule events or make announcements to keep everyone in sync. 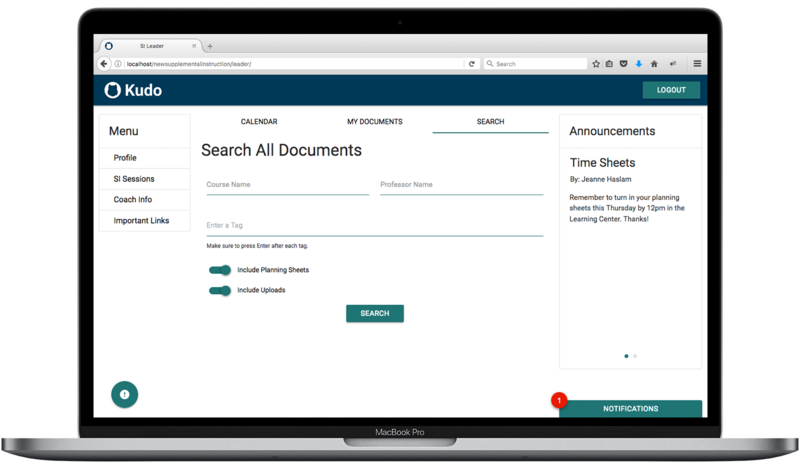 Coaches and administrators can easily manage their program with a variety of administrative documents.